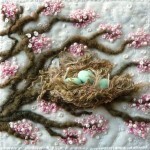 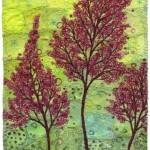 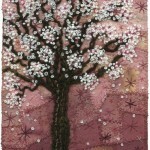 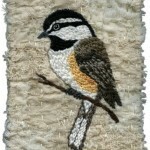 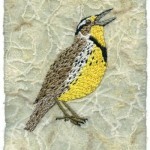 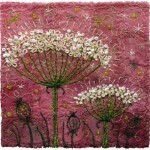 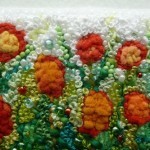 Canadian artist of applied art Kirsten Chursinoff loves to embroider. 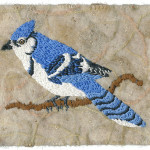 This type of needlework seems to her the most universal, the ability to attract a combination of hand and machine work. 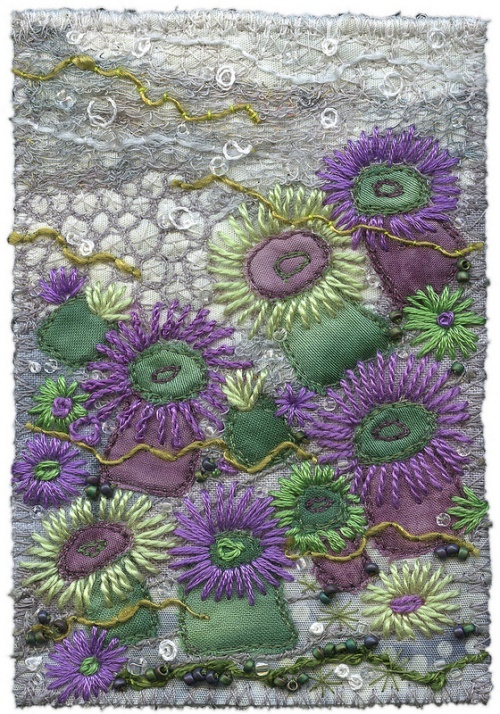 Kirsten is glad that ordinary materials such as yarn and fabric can create beautiful images of nature, which is the main inspiration for her. 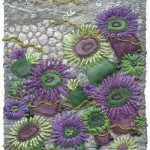 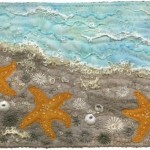 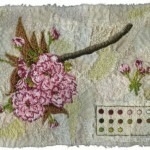 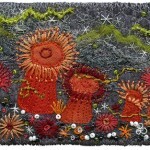 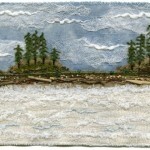 Kirsten’s embroidery is more like postcards with landscapes, plants, animals. 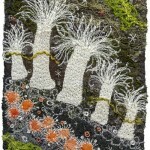 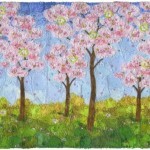 The author emphasizes that she draws inspiration from the contemplation of nature. 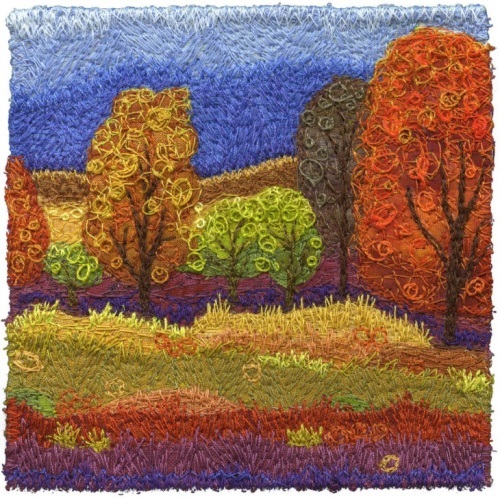 In addition, she spends a lot of time studying the different types of embroidery, looking for fresh ideas in books on art and photography. 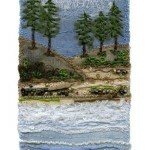 The mother of two children, Kirsten Chursinoff lives in Vancouver, British Columbia. 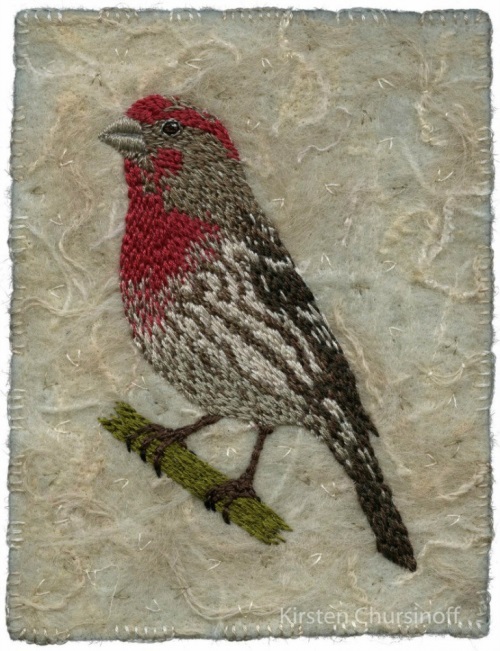 The latest exhibition “Feathers and Wings” of her embroidered birds, butterflies and moths took place in New Westminster Public Library April 1-30, 2015. 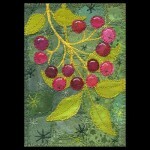 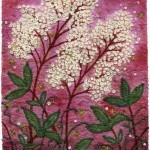 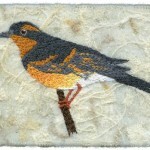 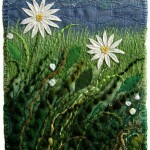 For many years I was focused on machine embroidery, so it’s nice to come back to hand embroidery with fresh ideas. 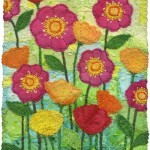 I’m taking some time to experiment with some new stitch ideas as a way to expand my creative toolbox.